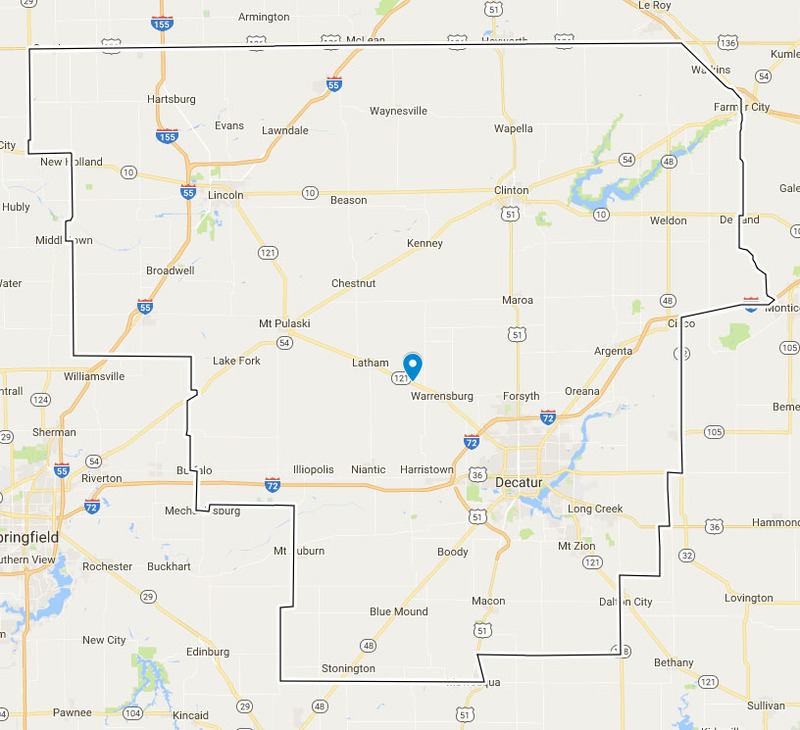 Big B Agro proudly serves Central Illinois with residential and agricultural propane delivery and farm fuel services. Propane cylinders and RVs are refilled at our office at 8220 N. Rt. 121, Warrensburg, IL. Check the map or see the list below to see if your home, farm, or business is located within our service area.